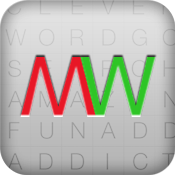 Solve the mixword by selecting letters on the field and swapping them into correct places to complete words (crossword). 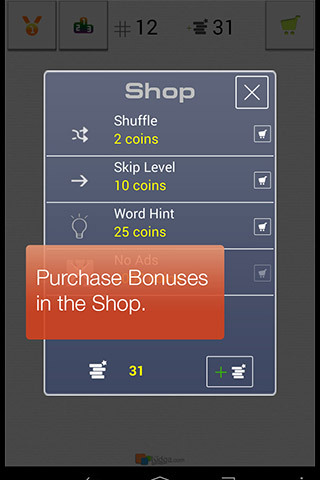 Shop Button – use to buy bonuses (shuffle letters, word hint, skip level) and earn more coins . 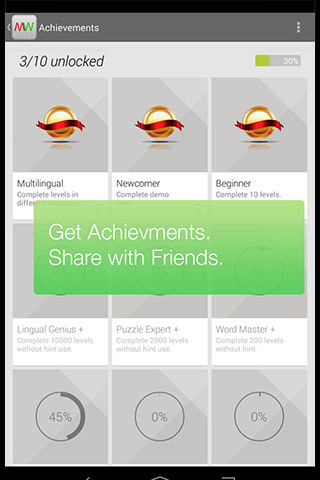 G+ Button – Login to Google+ to activate global leaderboards and achivements. 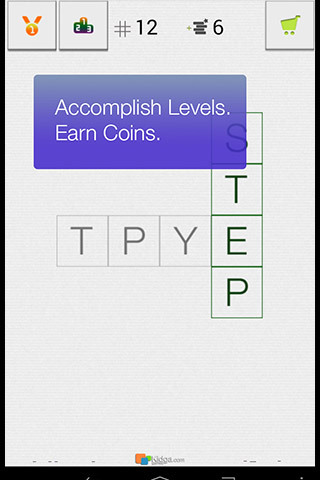 Leaderboard Button – Open global leadeboards. 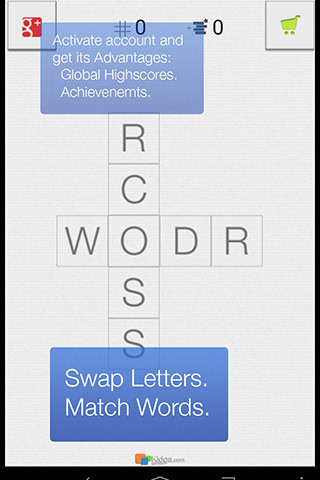 Achivements Button – Open achivements.